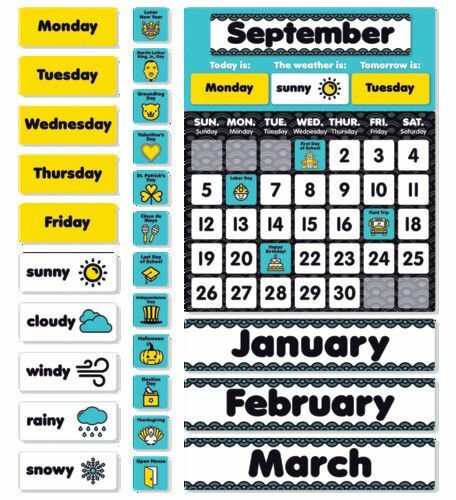 Highlight important days and celebrations with this must-have classroom calendar. 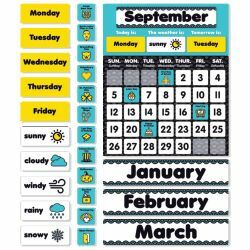 The simple icons make the calendar easy-to-read for even the littlest learners and the serene color palette transforms your space into an oasis of learning. Coordinates with the Aqua Oasis line.